Tubular flow sight glass type 640 - Borosilicate and quartz glass, mica, sealing, level gauges, armature - Continental Trade. The central element of the 640 flow sight glass is a borosilicate 3.3 glass tube, which is clamped between two flanges made of carbon or stainless steel. This construction provides omni-directional view (360 ° view) and natural backlighting of the process medium. For less demanding applications type 640 are available with tube made of acrylic glass. For high temperature applications, the tube can be made of quartz glass. The type 640 can operate at pressures up to 16 bar. It is available for flanges from DN10 to DN300. Viton, PTFE, EPDM or on request. 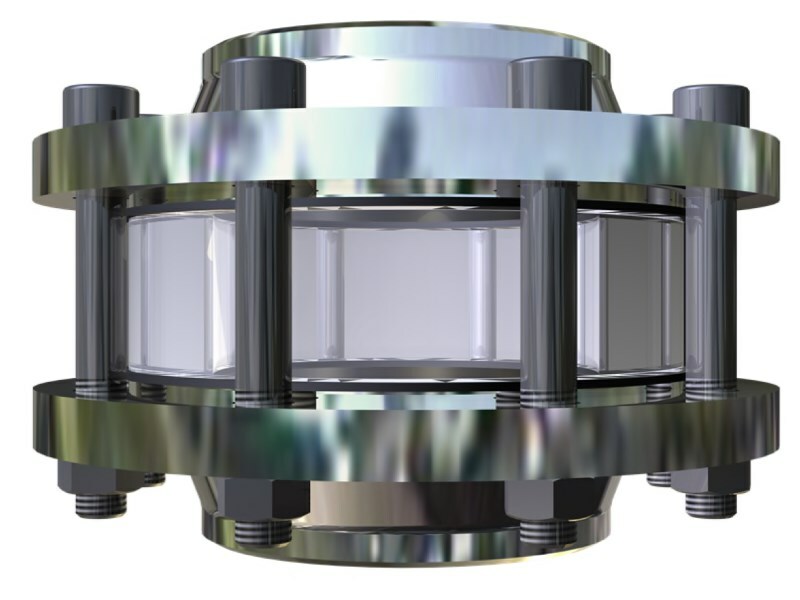 Flow sight glass with glass tube type 640 with flanges on both sides, for installation on flanges according to EN 1092 (pipeline installation).